Korede hails from Lagos state, a student of Mass communication at the Nigerian institute of journalism. He started performing on stage at the age of seven, staged named African Prince. Korede started music when he was younger when he listened to songs played by his parents . His father loved the indigenous music while his mother preferred foreign music. I grew up listening to diverse music. He fell in love with music and it fell in love with him. In school, Korede always participated in social activities such as acting,dancing and even singing competitions and represents his school. He formed his first music group with a friend in primary six and also wrote his first song. When he got into secondary school, it was a different ball game. It was better and more into writing songs. But when he got into senior secondary school, he began professional music by recording his songs in the studio. His first official single was recorded when he was in secondary school. His parents gave him the support he needed. His father got him his first guitar and even paid for his first studio session. He love his parents so much and one of the reasons is because they support him and would put their money on anything that would make him happy. He came from them and they love music and they love supporting their son. The only issue they had, especially his mother, was his staying out late. She did not want him to stay out late because as of then, he was just writing his West African Senior Secondary School Certificate Examination. He had to be in the studio mostly at night and his mother did not really like that. Aside from that, everything was fine. He draws a lot of inspiration from Asa, Tuface. His genre is soul music and he touches the life of many.. The new rising star said his name Korede means a harbinger of good tidings and thus he would want music fans listening to his music to feel blessed and happy. The young singer who is yet to have an album of himself said that he was aiming at getting to a stage where listeners of his song will get blessing by listening to his music. He released a song called ‘Forever’ and people loved it but it just took one person to listen to it and introduced him to Don Jazzy’s friends. They were also astounded by what they heard and they introduced him to Don Jazzy. He invited them to the studio with his manager, Casmir, they recorded some songs and that was it. When he Don jazzy heard his song, he said that he was a mega super star and that was it. Korede got signed under Mavin Records where he released his first single titled “African Princess.” which featured donjazzy. He was signed to Mavins record on February 28 2014. After his performance in Mavins Dorobucci , his fanbase has tripled and his popularity increased and has won admiration of many ladies.. Especially with the wink everyone was crazy about. It has always been his favor to have princesses around him. the number of female fans coming after him has increased since he joined the Marvin Records. Even female celebrities are now flocking to him and so have even come to give him a kiss after watching him performed on the stage in one occasion. Korede believes: first, the more alcohol free you are, the better your health and the happier you become. Secondly, having a clean lifestyle attracts less drama, exercising, planning, eating good food, and being positive always will make you happy. Lastly, I don’t think anything can make you happier than being at peace with God. Working with Don is one the best feelings an artiste could ever have. Jazzy is a musical genius; so every moment in the studio with him is always productive. And the amazing thing about the Mavin boss is that he’s open to ideas and he’s extremely funny. Don Jazzy is a living legend, and one of the greatest musicians alive,” Bello said. In 2015 Korede released a banging hit single titled: GODWIN a song classified to be semi gospel and semi pop by fans, his Godwin single is considered one of the biggest hits in 2015 as the single topped many charts for weeks. That increased his fan base in Nigeria and abroad. He performed the song Godwin in a church in lagos in 2015 which rose a lot of controversies people saying a worldy singer shouldn’t be allowed to perform in a church, well, he had people who was in support of him though.. In MID 2015 Korede got the privilege of performing at the presidential inauguration dinner which can be said to be quite an achievement in which even many of his seniors in the Industry didn’t get the chance. He Won the Indigenous & Revelation of the Year. Two Awards, Tush All Youth Awards 2011. He won the Most Wanted Artiste, Hype Award 2012. He won the R ‘N’ B SINGLE (Male) Yem Awards 2012. He won the Young Promoter of Cultural Heritage, The Gong Africa News Magazine 2012. Korede signed a multimillion naira endorsement deal with popular telecom company GLO on the 1st of July 2015. Making one of the certified ambassadors of glo.. But the disagreement of the public with the age he claims he is will not go unmentioned. 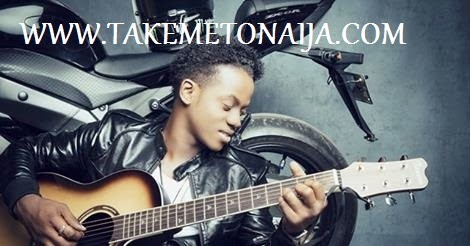 Most people do not believe Korede bello is indeed born in 1996. Most people believes he is presently in his 20s but he insists he really was born in 1996. The singer is said to be in a relationship as he’s shown his girofrind on snapchat a little but the public still can;t identify whoim she is.